You can't vote on the Lynne Mine Referendum in November, but you can make your voice heard! IF YOU OWN PROPERTY IN ONEIDA COUNTY and ARE A NON-RESIDENT Please sign this Petition To The Oneida County Board To Stop The Lynne Mine And Protect The Willow And Our Water! NOTE: JOINTLY OWNED PROPERTY: ALL OWNERS MAY SIGN THE PETITION. Non-resident taxpayers constitute more than 50% of the property owners in Oneida County and pay more than 50% of the property taxes. 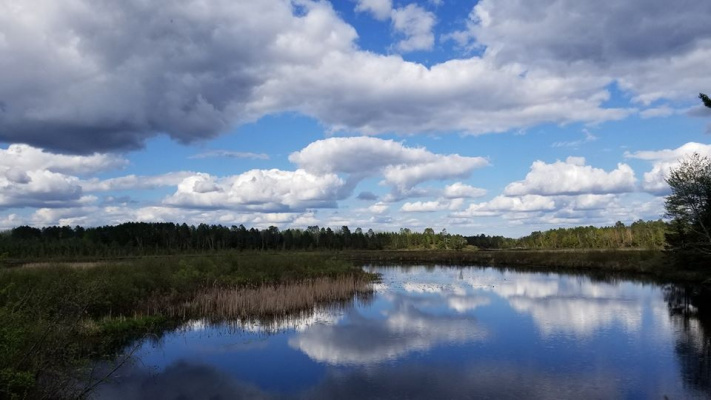 Non-residents choose to own vacation homes in Oneida county to enjoy the clean water, clean air, healthy forests, and the serenity of nature. They want a respite from noise, congestion and pollution. Non-residents are a major component of Oneida County's recreational economy. They spend their dollars here. Out of 72 counties, Oneida ranks 15th statewide for visitor spending and business sales: $305 million in 2017, up 3.5% from 2016! The WI Dept. of Tourism counts 2,200 jobs in the county related to tourism. We the tax payers of Oneida County own public county forest land in the Town of Lynne. The forest contains a wetland with a sulfide mineral deposit under 40 feet of water. It is less than 1/2 mile from the Willow River. Due to the quality of its water, the Willow Flowage is listed as an "Outstanding Water Resource" by the DNR. Fewer than 1% of Wisconsin's lakes and impoundments qualify for that distinction. The Oneida County Board is considering leasing the mineral rights of the Lynne Forest to a sulfide mining company. All sulfide mining in the U.S has consistently produced acid mine drainage and polluted surrounding surface and ground water with heavy metals, to varying degrees. Sometimes the results are catastrophic, but a degradation of the surrounding watershed always occurs. The risk of further degradation after the mine is "remediated," continues for many decades. Although water contamination is the greatest danger of a sulfide mine, dust, noise from blasting and rock crushers and constant ore truck traffic are also significant problems. "After performing their due diligence, should Oneida County allow leasing on county owned lands in the town of Lynne for the purpose of metallic mineral exploration, prospecting, bulk sampling, and mining?" Non-resident property owners are not represented in the referendum vote this November. This petition provides an opportunity to make your voice heard. It will be delivered to the Oneida County Board.